Area 18, originally introduced in the Social Module, was the first lore location that supported multi-player interactions. Sure, you could mess around in Freeflight but that was just an empty space. 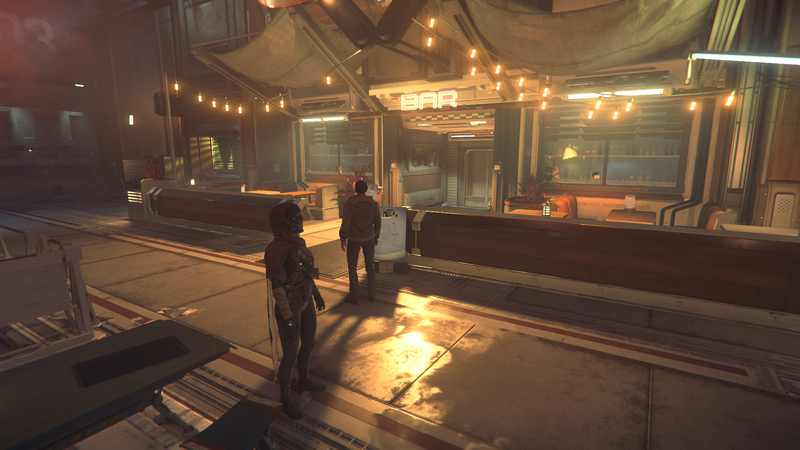 Area 18 on the other hand, was a bonafide location with content – shops, a bit of exploration and RP opportunities. It was our first taste of seeing an area move from concept into a physical location. 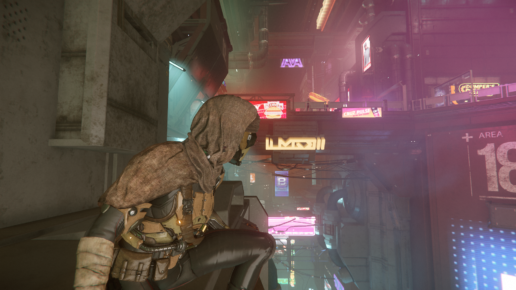 I spent many hours in Area 18 doing a whole lot of nothing and I enjoyed it. I watched the planes go by. I observed other players running around. I danced and chatted inside G Loc. I used the map hack to fly a Merlin around the skyline and visited the Million Mile High Club. Again, I’m not a roleplayer. I consider my style one of deep immersion. I’m me, living in that world, making choices that match my value system, having adventures and making friends along the way. 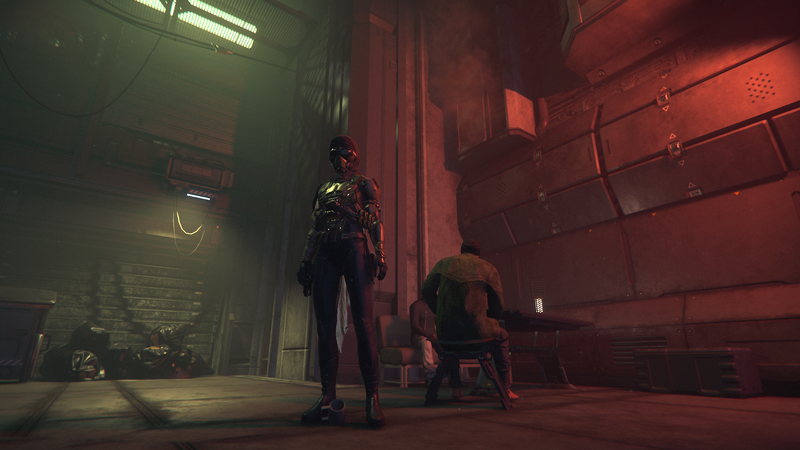 Hanging around in Area 18 inspired me to write my first piece of Star Citizen fanfiction, Bryony’s Dilemma. That tiny glimpse of what could be provided such a visceral example of where that game was headed, it sparked a lot of creativity. I’ve missed Area 18. It’s where I really started bonding with the game beyond the mechanics and ships. For me, visiting the location, now part of an actual planet felt like coming home. It was like taking a stroll through The Fifth Element. I was part of Ghost in the Shell, patrolling the streets at night. 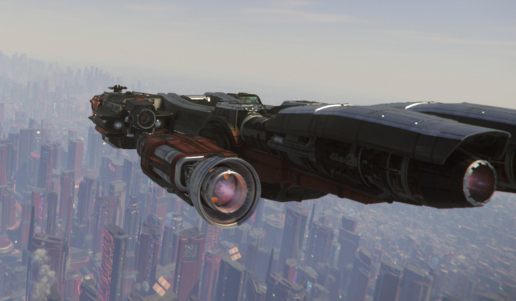 Departing the spaceport on an assignment in Blade Runner. They nailed it. Blew it out of the water. Burst it out of the park. I considered Lorville impressive but the fact that I never visited it again after seeing the new content because I find the train rides annoying, had me a bit worried. I backed to be in space. Planetside content doesn’t enamor me outside of the hero zones. I became a bit concerned that if I felt so little interest in a place as impressive as Lorville, damn, I’d probably wouldn’t bother with the cities at all. What I realize now, is that I didn’t connect with that particular environment. In the same way that like I don’t enjoy some cities or neighborhoods, in real life – they simply don’t interest me enough to make the effort to go back, some Star Citizen locations will be the same. I know that I will be hanging around in Area 18. Distance and all. Shuttles and all, it will be my home base. I’ll simply refrain from doing content that sends you back and forth a lot to avoid my nit about using the shuttle during commercial transport activities. 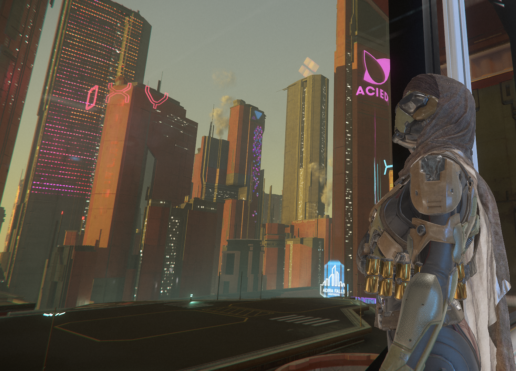 Experiencing ArcCorp, I’m extra excited to see the other star systems with very different aesthetics, wondering what I may enjoy even more. 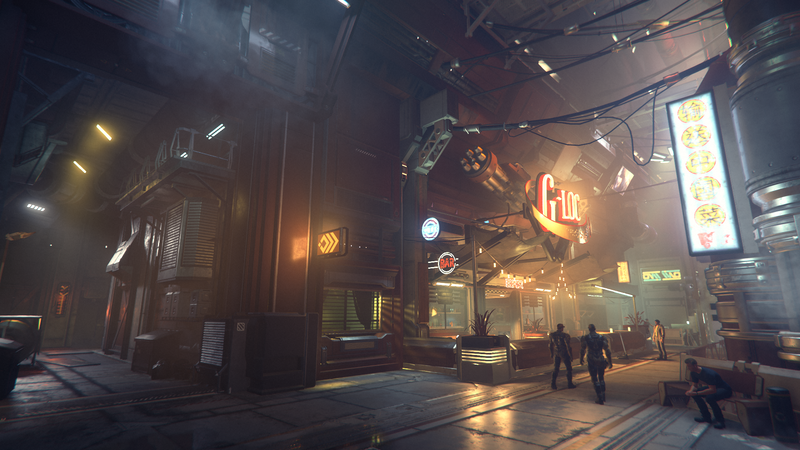 Goodbye Port Olisar.